My photography sessions generally take place outside, during a walk either at your local walking place or at a different pre-agreed venue. 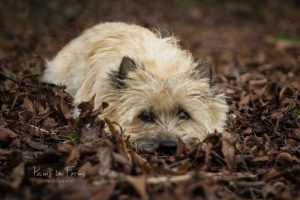 I will aim to capture some of your dog’s lovely, muddy, quirky, naughty, happy, moments, and this will include candid images and also more formal poses, some action shots (if your dog is feeling energetic!) or perhaps even a few tricks or training shots. 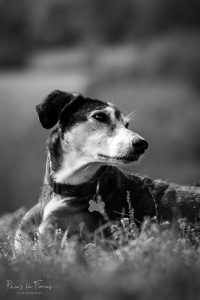 On the other hand, if your dog is elderly or has mobility restrictions, we can get some lovely images of him or her just resting, like gorgeous Ted above, a 12 year old lurcher. Whatever we do, it will be very relaxed and is likely to involve lots of toys, treats and cuddles! We can discuss beforehand what your requirements are and I will ask a bit about your dog in terms or type, age, likes and dislikes so I can tailor your photoshoot according to this. In the case of very young puppies or senior dogs, we can have the session in your garden. About a week after the FRANK, RUBY or SIRIUS session I will send you a link to a private section of my website so you can see the images and choose those included in your package (see above). There will be no pressure for you to buy any additional photographs, although most clients do! The above options are also available as Gift Vouchers, which will need to be booked within twelve months of the date on the voucher. The gift vouchers are full colour 15×15 folded postcards, with full explanation inside of what is included, as per the text above. We can have the session in most weathers, however, if the weather forecast is horrid (solid downpours or excessive heat) we will reschedule at no extra cost to you. If for whatever reason there are not enough images for you to choose from I will spend some additional time on another date to get more options. Prices are for up to three dogs. If you would like to include more dogs in one session please contact me to agree a price. Cost of photo sessions include areas around Amesbury, Winchester, Andover, Newbury, Basingstoke and surrounding villages. Additional mileage is chargeable at £0.30 per mile travelled. However if you are outside of these areas, I may be able to combine your session with another appointment, so extra mileage may not be incurred – I will try my best to fit it in so you don’t have to pay additional cost. 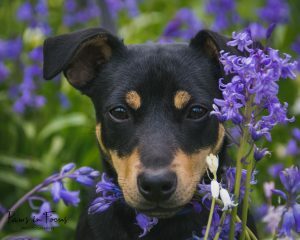 Copyright and title to the photographs remains with Paws in Focus /Caroline O’Hare Photography, this includes using any of the images for promotional purposes, display on Paws in Focus website and Facebook page, using as portfolio samples and entering photography competitions. Prices for digital images and prints are for the purchaser’s personal use. This excludes use for commercial purposes, publications or advertising. If you would like to make use of my images for these purposes please contact me to agree terms. I can attend dog sports events within the areas mentioned above or sometimes I can go further afield too. There is no charge to the organisers and I will provide some free of charge images for the club’s website, facebook page and/ or marketing material.